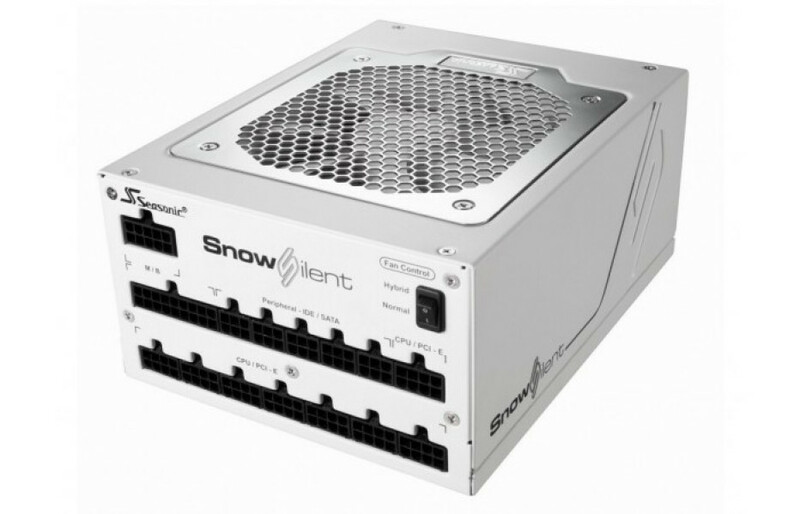 The Taiwanese power supply unit (PSU) maker Seasonic has announced a new PSU called Snow Silent 1050. You can learn a lot about the device just by looking at it – the nominal power is 1050W and the PSU is both white and quiet. Indeed the new PSU is completely white, which is a first for this industry. In addition the new PSU comes just in time for winter, given you live in the Northern Hemisphere, hence the name. The unit is 80 Plus Platinum certified and has a single +12V rail and most modern thermal and electrical protection mechanisms. The PSU has a 24-pin ATX connector, two 8-pin EPS connectors, eight 6+2 pin PCI-Express, fourteen SATA, five Molex and one Berg connectors. Then there’s a 120 mm cooling fan that is also in white and hybrid fan control that powers it down under a load threshold.